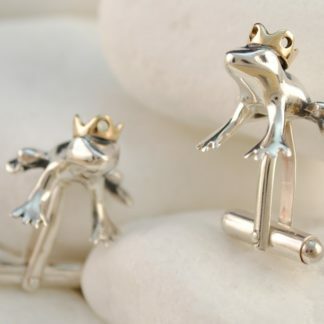 An imaginative and playful pair of cufflinks from the A. Leondarakis jeweler’s collection. 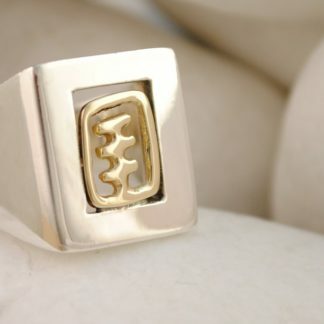 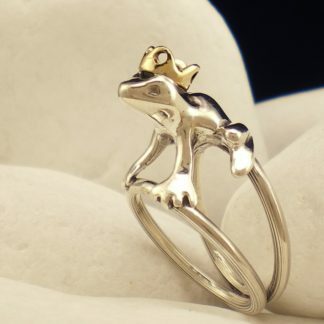 The crowned frog prince is handmade from solid 925 sterling while the frog’s crown is handmade from solid 14K gold. 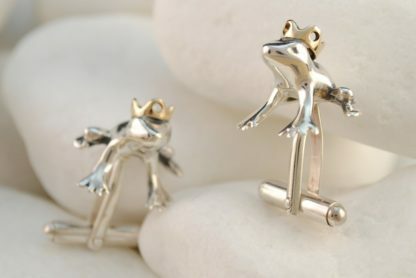 An imaginative and playful pair of frog prince cufflinks from the A. Leondarakis jeweler’s collection with a design is inspired by “The Frog Prince” fairy tale. 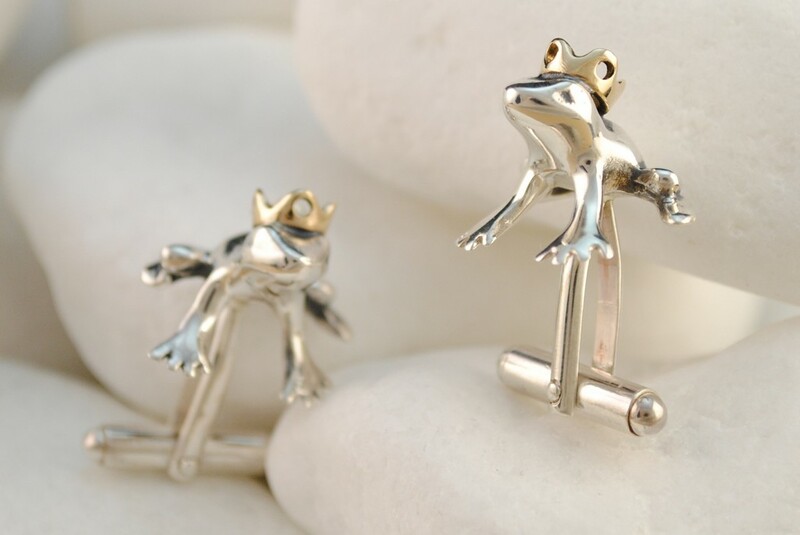 The frog prince cufflinks carry the metal fineness stamp and the Workshop code ΩΙ34. 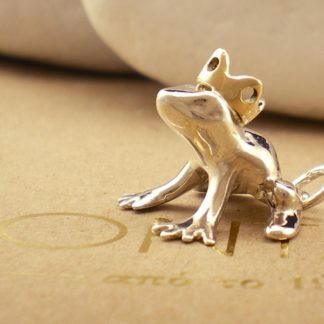 They will be sent to you in a presentation box for you to keep or present as a gift.